The 7th Amendment to the United States Constitution is part of the original Ten Amendments to the Constitution enacted by the First Congress. The 7th Amendment guarantees an accused person of the right to have a trial by jury in most civil cases and also guarantees that facts decided by those juries cannot be reexamined at a later date. The 7th Amendment was included in the Bill of Rights for several basic reasons. The American colonists had just endured a period of not being allowed jury trials by the British government. This grievance was mentioned by Thomas Jefferson in the Declaration of Independence. The British Crown had created separate courts for the colonists that did not allow juries to decide the cases. Why did the Crown do this? Because the colonists' juries were consistently rejecting British law and undermining the wishes of the King and Parliament. This was one of the colonists' ways of protecting themselves from unjust laws and it leads to the second reason the Founders included the 7th Amendment in the Bill of Rights - trial by jury provides a bulwark for the people against the government. Juries are not required to base their decisions on the wishes of government officials, but can choose to declare a person innocent of a crime they are accused of committing even if they are guilty. A jury would probably only do this however, if they believed the law itself was unjust. The tradition of trial by jury began in England around the 12th century. Originally, juries were a group of twelve local men who were brought in to tell what they knew of the facts of a case. They were essentially the witnesses. Often juries were brought together to accuse political opponents of the king of various crimes in order to do away with their opposition. Eventually the tradition changed into a system whereby these twelve men would listen to evidence presented by both sides in the case and declare a verdict about whether or not the accused party was guilty. During the years leading up to the Revolutionary War, American colonial juries became one of the leading places for American colonists to express their dissent against the British government. Starting in the 1600s, England had passed a series of laws which collectively became known as the Navigation Acts. These laws were designed primarily to strengthen England's trading position against her enemies, particularly the Netherlands. The Navigation Acts required that goods produced in England or her colonies be shipped only on British ships and, in many cases, only to other British colonies or to England itself. The Acts restricted the colonies from trading with other nations, even if other nations provided cheaper products. This led the colonists to engage in smuggling to buy cheaper goods and to find markets where they could sell their own goods at a higher price. As the smuggling increased, the Crown began to prosecute more and more colonists for violating the trade restrictions. As these cases went to trial, the juries often acquitted their fellow colonists of any wrongdoing, even though they had blatantly violated the law. This outraged the King, who set up new courts that didn't allow juries. Of course, the colonists were outraged that their right to be tried by a jury was denied. This grievance was specifically mentioned in the Declaration of Independence. 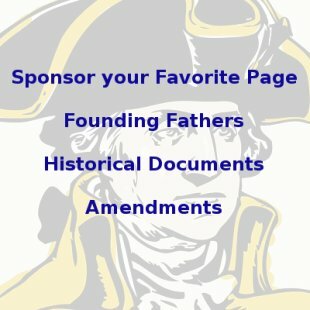 You can view the grievance section of the Declaration of Independence here. 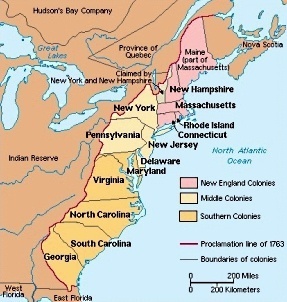 After the Revolutionary War was over, the former colonies set up their first government under a document called the Articles of Confederation, which provided a loose coalition between the individual states. After a few years though, they realized that the Articles were not strong enough to keep the nation strong and safe over time. Each state sent delegates to the Constitutional Convention in Philadelphia in 1789 to make alterations to their form of government. 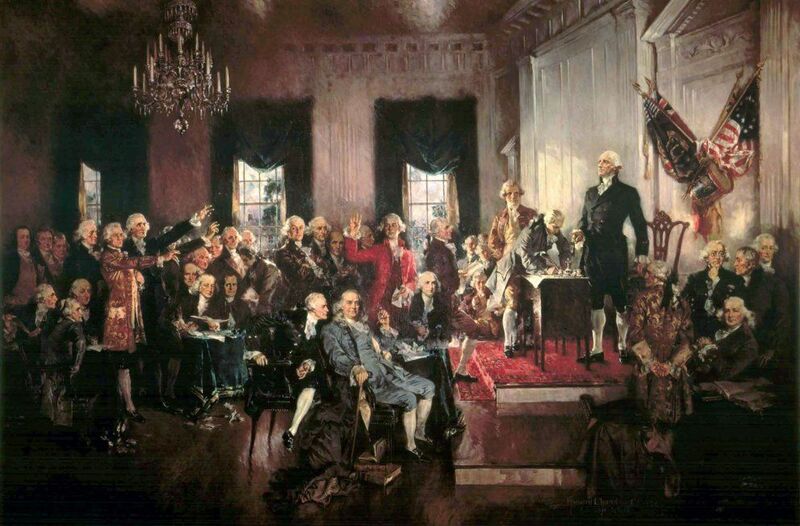 The result of their meeting was a newly proposed Constitution that was then presented to each state for acceptance. 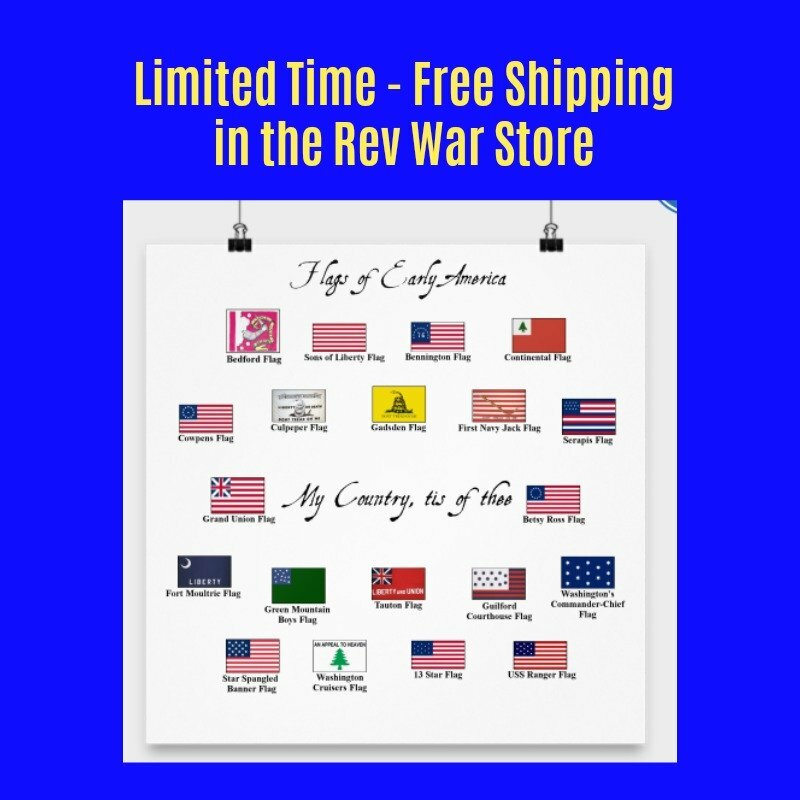 Each state put together its own Constitutional Ratification Conventions to discuss the newly proposed Constitution, make suggestions on how to make it better and to vote on whether or not to accept it. Many suggestions were made by the members of the Ratifying Conventions, but consistently, many members were concerned that the new Constitution did not seem to preserve the right to a jury trial in civil cases, though it did specifically mention the right in criminal cases. The issue of whether or not to include a guarantee to the right to a jury trial in civil cases was discussed during the Constitutional Convention in Philadelphia, but the idea was abandoned. First of all, the Federalists, the party that was for the new Constitution, argued that the Constitution allowed the Congress to make laws regarding civil cases if it wanted to, including the right to trial by jury, though it didn't require Congress to do so. If the Congress believed such a law was necessary, it would create one. Anti-Federalists, those who were against or skeptical of the new Constitution, were alarmed by this idea. They wanted the right to trial by jury written in stone, so to speak, as a guaranteed right under the new Constitution. In fact, this issue became one of the strongest objections for those who were against ratifying the new Constitution - including George Mason and Elbridge Gerry, who listed this as one of their top grievances. Indeed, six states sent a list of proposed amendments to the Constitution back to Philadelphia and five of these included a demand for the right to trial by jury. In the end, the Constitution was ratified by all 13 states with one condition. The First Congress was to enact a Bill of Rights, a list of amendments to the Constitution that would address many of the concerns that caused Anti-Federalists to oppose the new document. James Madison presented to Congress a list of twenty suggested amendments on June 8, 1789. The ideas that later became the 7th Amendment were included from the start in Madison's proposals. Congress debated the amendments and eventually chose twelve of them to be added on to the end of the Constitution as a Bill of Rights. The states ratified ten of them, which we know today as the Bill of Rights. The right to trial by jury in criminal cases was guaranteed in the 6th Amendment, in civil cases in the 7th Amendment and the right to be tried by a grand jury if one was accused of an infamous crime (a felony) was guaranteed in the 5th Amendment. Part of the 7th Amendment's purpose is to secure the line between judge and jury. Judges would have an immense power to intervene in people's lives if they were the sole "judges" in court cases. Instead, the Constitution allows for juries in order to keep much of the decision making power in the hands of the people. One of the ways this plays out practically is that judges are generally allowed to be triers of law, while juries are generally considered to be triers of fact. This is an extremely important distinction because it allows juries to make the guilty or not guilty verdict, and it also prevents the jury from violating justified legal expectations on the part of the plaintiff. During the 18th century, American juries were not only triers of fact, but also triers of law. This means that they were able to decide which laws applied to a case. The colonists were used to declaring in their neighbors' favor against British law, whether British laws were violated or not, and they continued doing this after Independence. This actually endangered the new nation's economy because investors from other nations were consistently ruled against by American juries, even if their rights had been violated by American citizens. It made foreign investors very reluctant to invest in the new country because they knew they would lose before an American jury if they had to sue for their rights in court. So, how does the 7th Amendment remedy this problem? Because it requires that the right to trial by jury only be preserved in cases at Common Law, meaning that the law must be taken into account in a jury's verdict. This is how the framers of the Bill of Rights protected the right to trial by jury for defendants and protected the right to be protected by the law for plaintiffs. So the way this works out practically is that judges determine specifically which laws apply to a case, but juries determine the facts of a case. 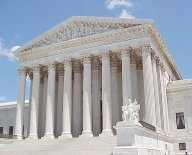 So, judges are charged with such things as determining whether or not certain evidence is admissible in court, instructing jurors about the laws that are relevant to the case, pointing out important issues with respect to the case and expressing their opinions in regard to the facts of the case. They are not, however, allowed to determine the facts. These are left up to the jury to decide. The jury, on the other hand, is charged with listening to the evidence and determining the relevant facts of the case. Then juries are responsible for taking the governing legal principles relevant to the case, determining whether or not the defendant is guilty or not guilty of violating the law and determining the legal consequences for the involved parties. This division of responsibilities ensures that "the people" will remain in control of legal decisions, rather than allowing a single judge, who could become corrupt or try to enforce his own will on people, to make such important decisions, and also ensures that juries will not throw out justified law that would justifiably protect plaintiffs. 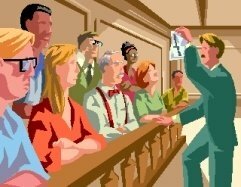 A judge may throw out a jury's verdict only if he believes the evidence overwhelmingly contradicts the jury's decision. Even in this case though, the judge may not enter a verdict himself. He may only throw out the verdict and order a retrial. There are generally four requirements that must be met in order for the 7th Amendment's trial by jury guarantee to apply. First, the case must invoke a claim that would have triggered the right to trial by jury in an English Common Law court in 1791 when the 7th Amendment was written. In other words, if such a claim existed in 1791 that justified a trial by jury, then trial by jury would also be required today. A lot of time has passed since 1791 though, and some entirely new types of cases have developed that did not exist at all in 1791. In cases where new claims, because of modern circumstances, are made, trials by jury are required if they have a similar precedent under the English Common Law of 1791, but if there is no such precedent, trials by jury are not required in many cases. Second, the lawsuit must be brought in federal court, not in state court. Originally, the Bill of Rights applied only to the federal government, not the states. After the 14th Amendment was added to the Constitution, under its Due Process Clause, the Supreme Court applied most of the Bill of Rights to the states as well, but not the 7th Amendment. The 7th Amendment remains one of the only parts of the Bill of Rights that is not incorporated against the states by the doctrine of incorporation. Third, the lawsuit must be for a claim of more than $20. Fourth, in order for the 7th Amendment to apply, a legal case must assert a claim that is legal in nature, verses a case that is in equity or in admiralty. An admiralty case is a case regarding something that happens at sea. Admiralty cases have their own courts and trials by jury are not allowed there. But what is the difference between a legal case and an equity case? Generally speaking, a legal case is a case where money damages are sought by the plaintiff from the defendant. An equity case, or an equitable case, generally has to do with fairness, or where money damages are not appropriate. For example, if an automobile driver was suing an automobile manufacturer, alleging that the auto manufacturer's poorly constructed vehicle caused him to be injured in an accident, he would be seeking monetary damages for the manufacturer's negligence. This would be a case of a legal nature. 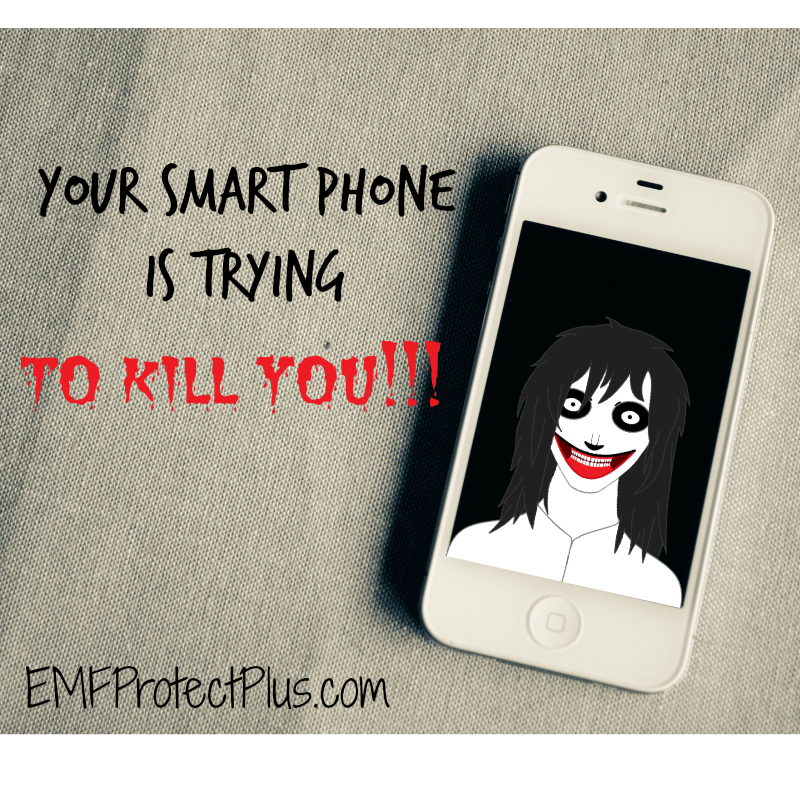 If however, a woman is seeking a restraining order against a former boyfriend who won't leave her alone, this would be an equitable case, because monetary damages aren't being sought. Equitable cases are adjudicated solely by a judge without the involvement of a jury. Other types of equitable cases include such things as injunctions, where orders are given, declaratory judgements, where future obligations between parties are ordered and equitable distribution cases, where property is distributed fairly between parties, such as in a divorce. Up until 1938, legal cases and equitable cases had their own separate court systems and procedures for adjudication. In 1938, the Federal Rules of Civil Procedure was adopted. This law combined legal and equitable cases into the same court system and established uniform procedures for both. Today most distinctions between the two are eliminated, with the exception of whether or not jury trials are allowed. If a case is brought to a federal court that has elements of both a legal and an equitable nature, the legal part will be decided by a jury and the equitable part will be decided by a judge. Facts will be decided by the jury on the legal side, and the judge must abide by those conclusions as he decides the equitable side. Prior to 1938, a case involving issues of both a legal and an equitable nature had to be brought twice, once in the legal court and once in the equitable court. So, to summarize, in order for the 7th Amendment to apply, a case must be of a legal nature, meaning it must request monetary damages. "...no fact tried by a jury, shall be otherwise re-examined in any Court of the United States, than according to the rules of the common law." This applies in most cases, but there are some cases in which reexamination is allowed, such as if it is later determined that legal errors were made or evidence submitted was insufficient in some way. In such cases though, the reexamination is conducted by another jury, so the decision is still left in the hands of the people. The 7th Amendment applies to cases only in which it is asserted that "private rights," have been violated, not "public rights." Private rights are rights that exist between private citizens. Public rights cases are cases in which the government sues an individual in its role as sovereign authority in order to enforce statutes created by Congress. It is considered to be a "public right" for the government to enforce it's laws. Sometimes Congress assigns decisions regarding whether or not statutes have been violated to regulating bodies, such as OSHA, the Occupational Safety and Health Administration, and sometimes, Congress assigns such decisions to regular courts. If decisions are made by agencies, the 7th Amendment right to trial by jury does not apply, but if the decision is made by a regular court, then it usually does apply. Courts usually consider "witness tampering" as a violation of the defendant's right to trial by jury. If jury members have contact with outside sources such as relatives or media, they may be persuaded for or against the defendant unfairly. If it is found out that this has happened, jury decisions can be thrown out and a retrial ordered. People can waive their right to a jury trial, even if one is allowed by law. In America today, most civil cases are decided before they ever reach trial. Generally, if one or the other party demands a jury trial it will be granted. If a jury trial actually occurs, it is because one of the parties believes it is in their best interest to do so. In recent years, some federal courts have argued that there should be an exception to the right to trial by jury in certain complex cases. The argument is that a regular jury made up of average people is not qualified to rule on certain extremely complicated matters and that using such a jury is a denial of the right to due process. This argument believes that judges should rule in such cases because they have the experience and knowledge to understand the issues involved. Others argue that no jury is so incompetent that it can't understand complex matters and that no judge has any superior ability to understand them. They say that removing jury trials would put too much power into the hands of individual judges and would remove the power from the people. This matter has yet to be fully decided, but obviously, we still have juries in complex cases today.